Bratislava castle is one of the most dominant features of the town. It offers a spectacular view on the city, but also an opportunity to enjoy a romantic sunset with your special someone. You can get there by walking along Zámocka Street, where you can later stop by for an evening cup of coffee in the cozy Old-Town-atmosphere. 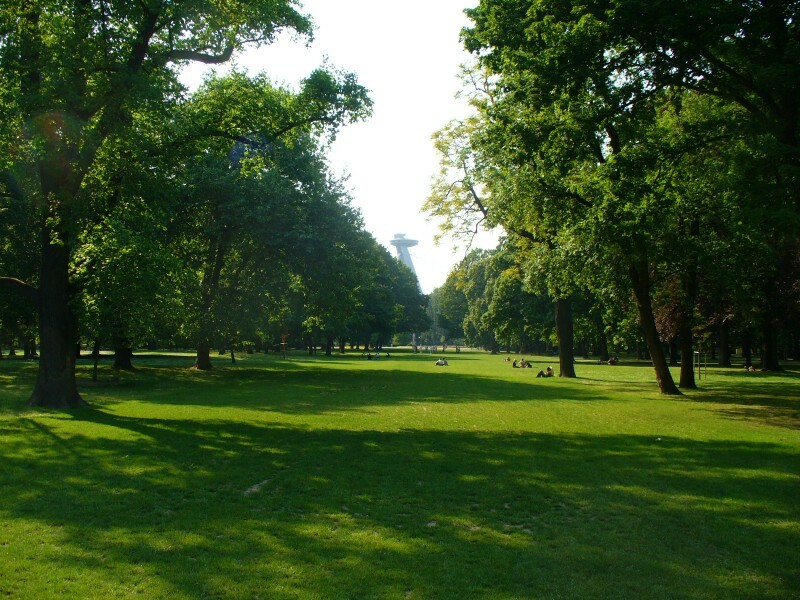 This park, located in Petržalka borough, offers plenty of greenery, which keeps the place cool even during the hottest summers. From there, it is only a stone’s throw away to Magio beach, lying along the Danube riverside, where you can enjoy relax or various sports activities. Or perhaps Aupark Shopping Center, if you or your partner feel like going on a shopping spree. 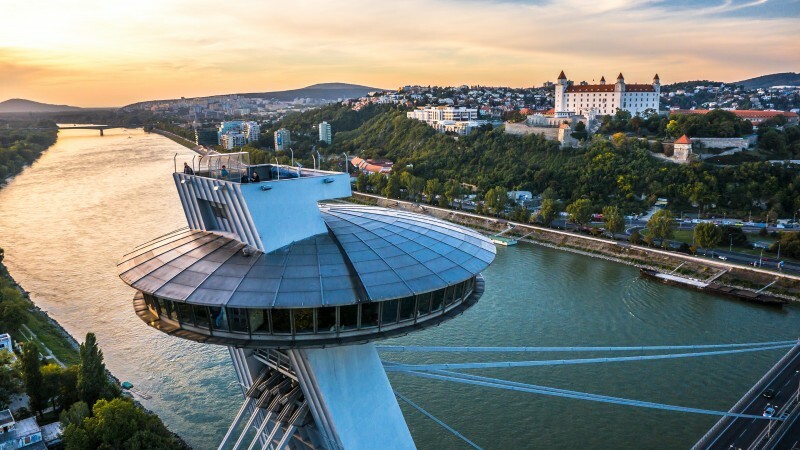 A unique observation tower and a luxury restaurant UFO, situated on top of the SNP bridge pylon, right above the river Danube, is a perfect place for a couple to enjoy a romantic evening. Whether you decide to observe from within the restaurant, or from the very top of it, prepare for an up to 100 km distant view. 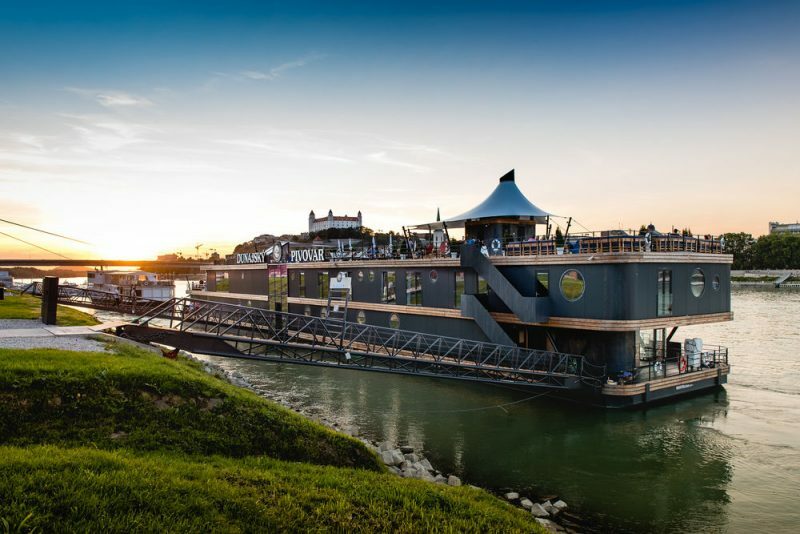 Danube brewery is the first brewery on the river Danube. It is a beautiful, quiet place for a couple, where you can enjoy traditional Slovak and Czech cuisine, beer made from the highest quality ingredients, brewed directly on its premises and, finally, spend the romantic night in the modern, minimalistic botel. If you are fond of modern art, Danubiana Maulensteen Art Museum is definitely a must-see. 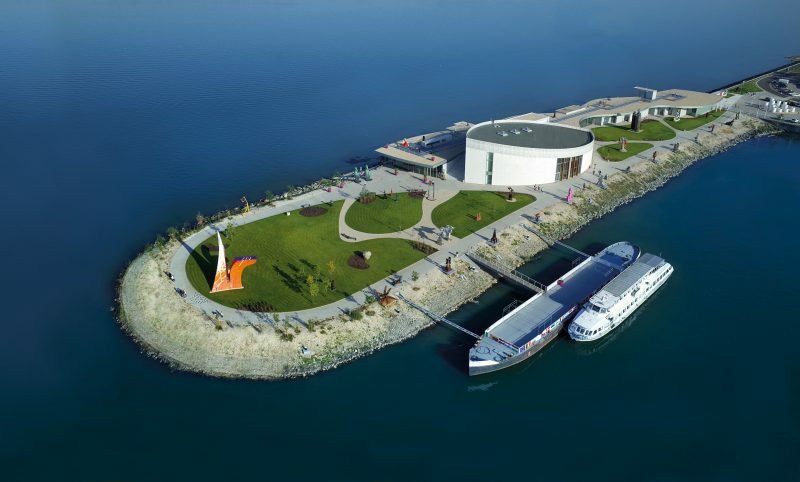 About 15 km south of city center, the museum lies on Danube peninsula, surrounded by an expanse of water in contrast to a greenery of its park. Adding to the unique style of the museum is its location on the borders of three neighboring countries – Slovakia, Hungary and Austria. 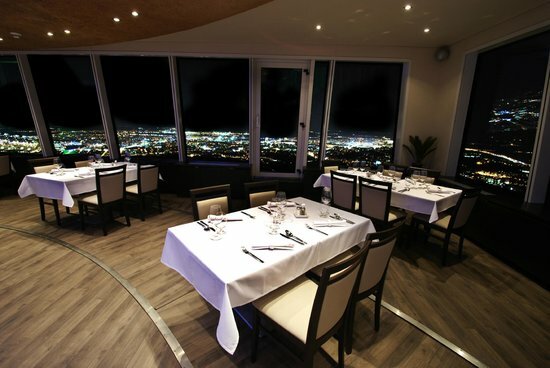 This restaurant, situated within the Kamzik TV tower, offers arguably the best vantage point in Bratislava, with a beautiful view on the surrounding nature and the city. If you reserve a table within the rotating ring, your experience will be truly 360°. Bratislava Old Town is the best place at night to enjoy a romantic, cozy atmosphere of the city center and its historic architecture, in the dim light of the old street lamps. There are plenty of cafés, pubs and restaurants to explore, making for a great experience of Bratislava’s nightlife. Zlaté Piesky is an ideal place to take a refuge at during the hot summer days. As long as you enjoy swimming or relaxing on the beach, this natural lake is definitely the place for you. If you feel adventurous, you can even try out various water attractions, such as wakeboard or flyboard. 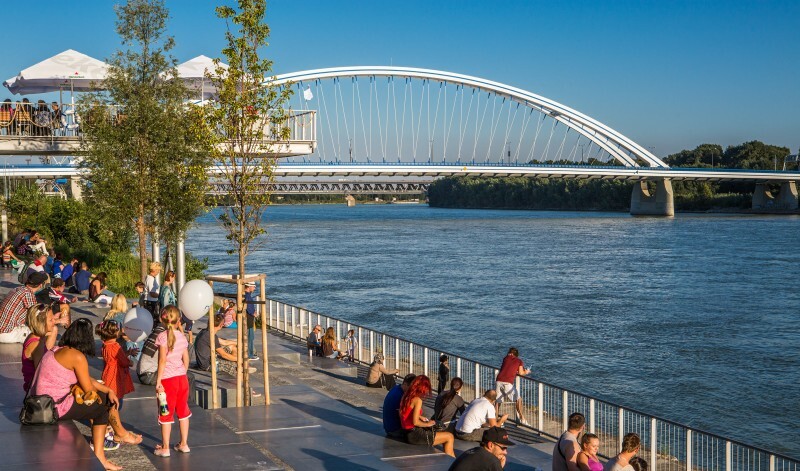 A modern shopping mall, located on the northern bank of Danube, that offers a multitude of shopping options along with restaurants and cafés with a relaxing view on the river. One of its buildings also has a cinema, which is mostly showing subtitled movies, so one has no need to worry about language barrier. 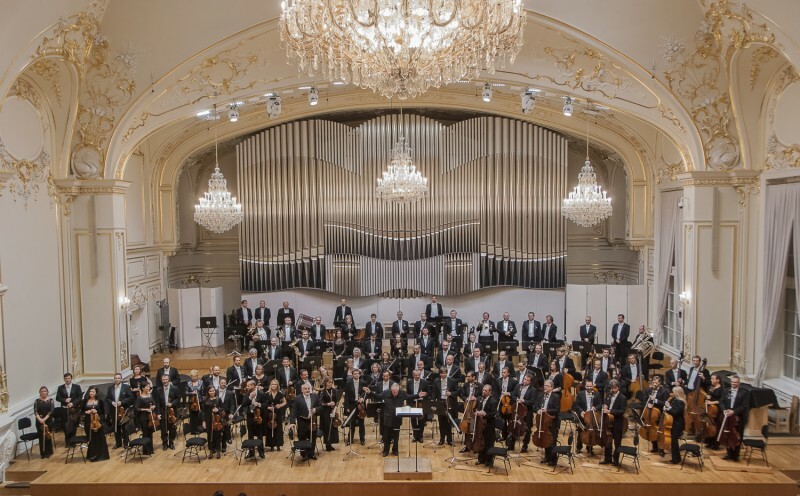 Baroque era palace converted into a concert hall, where Slovak Philharmonic is housed, is certain to impress music lovers with its wonderful acoustics, making for a unique cultural experience. Either way, if you want to surprise your sweetheart, don’t forget to get her a flower bouquet in Prešporská Púpava, right at the beginning of Laurinská street.